You can place orders according to our samples or you can send us your unique designs. We treat every customer with sincerity, and customers' satisfaction is our permanent pursuit. We welcome your visit to our company and look forward to your orders. 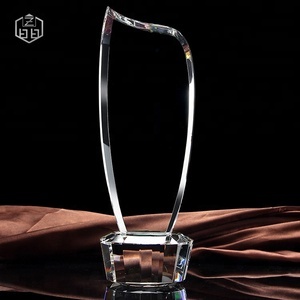 Q7: Are brilliant crystal golf trophy 's products available in a variety of colors and sizes9 A 7 : Yes. 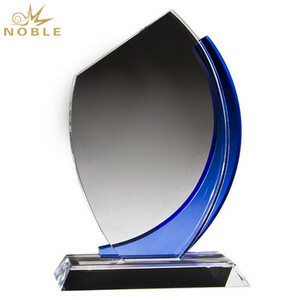 brilliant crystal golf trophy have different models products,available in a variety of colors and sizes. You can advise the size or color you need and if we don&rsquo;t have the existing ones, they can be customized. Pujiang Junye Crystal Arts & Crafts Co., Ltd.
We are a professional crystal crafts manufacture with 13 years experiences in China. Located in Pujiang, Pujiang has "crystal city",very near to Shanghai and Ningbo port. 3. What's the delivery time9 A: For products that are in stock, we can ship it within 3-5 days after receiving your payment. 2, Q: Can you provide free sample9 A: First, free for existing samples; Second, charge fee for customized samples, and return sample fee when place order. 3, Q: What's your lead time9 A: Generally 15-20 days upon receive the payment, and also depends on the order quantity. 4, Q: What's the payment term9 A: For mass production 30% TT deposit in advance and balanced 70% against before is by TT, West Union, L/C at sight are acceptable, too. Question: Can I choose my favourite color of the items and the gift box9 Answer: Yes. Question: Are my products safty during the shipping9 Answer: Yes. Question: Can you give me a sample pls9 Answer: My pleasure. 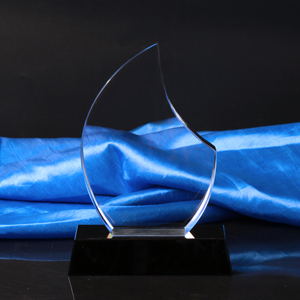 Zhejiang Pujiang Dongnan Crystal Craft Co., Ltd.
Price is negotiable and reasonable. Large order will win more favorable discount. We promise to do our best to delivery on time. 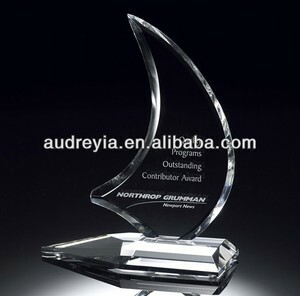 Alibaba.com offers 522 crystal sailboat gift products. About 62% of these are crystal crafts, 3% are brooches, and 2% are metal crafts. 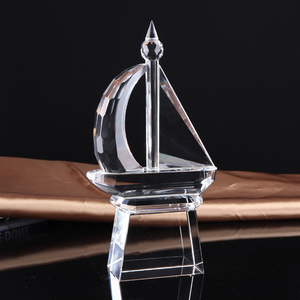 A wide variety of crystal sailboat gift options are available to you, such as business gift, souvenir, and wedding decoration & gift. You can also choose from crystal, metal, and glass. As well as from block & cube, crystal diamond, and sculpture. 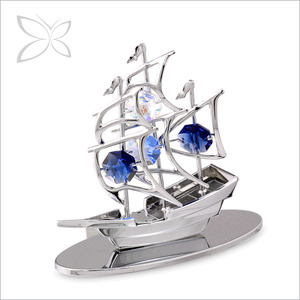 And whether crystal sailboat gift is folk art, religious, or antique imitation. 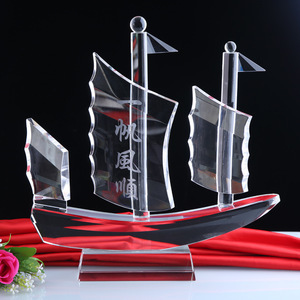 There are 444 crystal sailboat gift suppliers, mainly located in Asia. 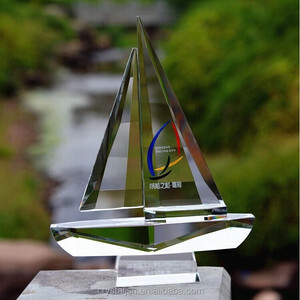 The top supplying countries are China (Mainland), Hong Kong, and Italy, which supply 96%, 2%, and 1% of crystal sailboat gift respectively. 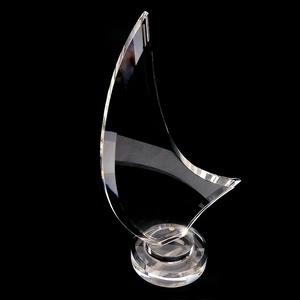 Crystal sailboat gift products are most popular in North America, Western Europe, and Eastern Europe. You can ensure product safety by selecting from certified suppliers, including 49 with Other, 37 with ISO9001 certification.